MANILA, Philippines - Japanese fans have not forgotten boy band JYJ, based on their response to the first solo album of Xiah Junsu. 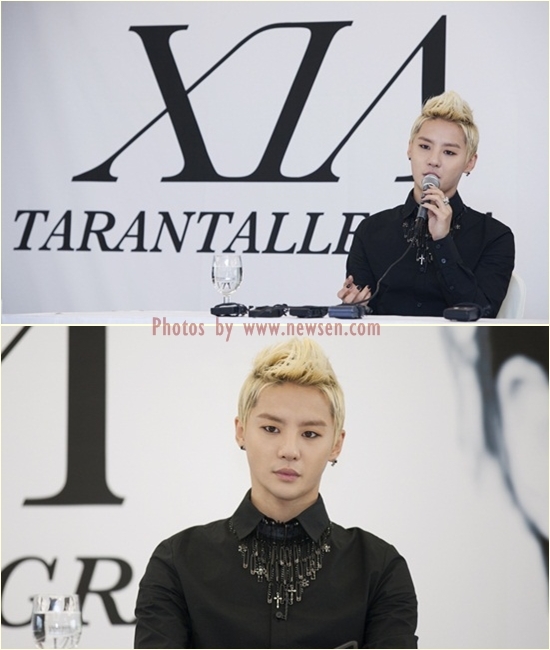 Junsu released the album "Tarantallegra" last May 14, which topped real-time charts in Korea and Japan. Despite that it's a Korean album, it is selling very well in Japan, thanks to JYJ fans. Following its release on iTunes, "Tarantallegra" became the No. 1 pop album and No. 2 overall in Japan, edging out Lady Gaga and Adele. As of today, the album is at No. 3 on iTunes' Top 10 pop albums in Japan. On Tower Records Japan album chart, "Tarantallegra" is No. 4 overall for the period May 14-20. On online shopping site Rakuten Ichiba, the largest e-commerce portal in Japan, the album is No. 1 in the weekly ranking. The album also ranked No. 4 overall in weekly sales and No. 7 based on all sales and pre-orders. Junsu's "Tarantallegra" contains 12 tracks including the title track, which features Flowsik of Aziatix. Over the weekend, Junsu held his first solo concert called "Xia 1st Asia Tour Concert" in Seoul. During the concert, he sang his songs including "Breath," Lullaby," "Intoxication," "Fever," and "Tarantallegra." He will embark on an Asia-wide tour including a stop in Taiwan on June 23. Junsu composed and arranged "Tarantallegra" while his brother Juno wrote the lyrics. C-JeS Entertainment said, "'Tarantallegra' is the magic spell that causes uncontrollable dance and it is the sensational title song of XIA's first solo album. You could feel the strong beat and various sound."